In late 2017, Unicut Precision (www.unicutprecision.com) invested over £1.5 million in seven machines, of which six were from Citizen Machinery UK. These comprised two Miyano BNE-51MSY fixed-head lathes and four Cincom sliding-head mill-turn centres. The increased capability and capacity provided by these machines have put Unicut on course to hit its 2018 sales target of £5 million, which would be a record for the company. Jason Nicholson, managing director of the Welwyn Garden City-based company, said: “Our order book reflects a change in our strategy — that of moving from being a sub-contract machinist reacting to orders as they roll in to one that continuously generates business from being a ‘supply partner’. On average, Unicut is shipping some 1.2 million parts a month and processing 370 different product orders, of which a third are directly exported. Moreover, the company has added to its scope of supply and now provides about 30 different ‘direct-to-line’ assemblies and sub-assemblies to customers. 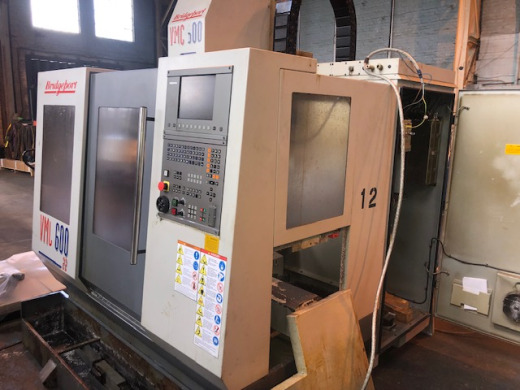 The decision to install two Miyano BNE-51MSY fixed-head machines followed Unicut’s review of twin-turret two-spindle turn-mill centres that could make parts already being produced in batch quantities of 2,000 to 5,000 on top-of-the-range Citizen Cincom M32 sliding-head machines that were approaching five years old. After discussing his new requirements in some depth with Bushey-based Citizen Machinery UK Ltd (www.citizenmachinery.co.uk), Mr Nicholson concluded that a Miyano BNE-51MSY would best meet Unicut’s new requirements, thanks to the machine’s combination of power, rigidity and flexibility. Familiarity with the control system — and the machine’s ability to cut with three tools simultaneously — were also important factors. The discussions with Citizen Machinery UK also included replacing some older sliding-head machines and buying four Cincom L12-VIIs — one featuring low-frequency vibration (LFV) cutting technology for swarf control. LFV introduces oscillations in the cutting action that are precisely synchronised with the rotation of the machine spindle. The resulting controlled ‘air cutting’ breaks the swarf into programmed chip lengths, preventing ‘stringing’ and ‘bird-nesting’; moreover, LFV can be applied to turning, drilling and even threading cycles. Following this latest six-machine order, the number of machines supplied to Unicut by Citizen Machinery UK since 1999 is now 70; as part of its ‘future-proofing’ production strategy, Unicut tends to replace machines every five to six years. Indeed, Mr Nicholson says that such upgrading has provided significant increases in flexibility and spindle utilisation — and allowed ‘lights out’ unmanned operation. “We would like to have had more than one LFV machine, but the demand for these is such that only one was available within the delivery timescale we needed. Unicut was formed in 1999 and now employs 51 people, including five apprentices. Its sales have grown from £2.2 million in 2010 to the planned £5 million this year. The company exports to both North and South America, Mexico, France, Germany and Malta, supplying high-end automotive customers, as well as those in the aerospace sector. It also has a strong customer base in the hydraulics and pneumatics industries. Set up as a sub-contract turning firm, Unicut progressively ventured into multi-axis turn-milling and now into five-axis milling with robot-tended production cells. Some 300 tonnes of steel, brass and aluminium are processed each year. Most machines are run 20hr a day, five days a week — and at weekends when needed to meet demand. ‘Lights out’ production is common over periods of 4 to 6hr, a time that is largely governed by tool life, material management and chip evacuation — hence Mr Nicholson’s positive comments regarding LFV technology for controlling swarf during unmanned running. The eight-axis Miyano BNE-51MSY has given Unicut significant benefits regarding productivity and lead-time reductions, thanks to its ability to overlap operations in a cycle and cut with up to three tools simultaneously. The machine has two 12-station turrets (all positions are powered by a 2.2kW 6,000rev/min drive), one with three axes, the other with two; these can access either spindle — or both spindles simultaneously. The main spindle has a 15kW drive, while the two-axis sub-spindle has a 7.5kW drive. Both s have a 51mm capacity and a maximum speed of 5,000rev/min. The five-axis Citizen L12-VlllLFV, which accommodates bar up to 16mm in diameter, features a 3.7kW 15,000rev/min main spindle (with a removable guide-bush assembly for economic bar usage on shorter components) and a 0.75kW 10,000rev/min sub-spindle. The guide-bush stroke per chucking is 135mm; with the guide-bush removed, the stroke is 30mm. Rapid-traverse rates of 35m/min minimise non-cutting times. Up to 27 tools can be carried on the machine. The X1-Y1 gang tool-post has six turning tools, between four and nine driven tools (powered by 0.75kW 10,000rev/min motors), four drilling tools and four back drilling tools. The back X2-Z2 tool-post holds a further four driven tools powered by 0.5kW 9,000rev/min motors. Deep-hole drilling can also be accommodated.